I’m thankful to see a rise in awareness of disabilities ministry these days. A baby’s life is often snuffed out in utero because they are diagnosed with a disability. The church makes a strong statement about the value of every life when we minister to persons with developmental disabilities and their families. I had a front row seat for a vibrant disabilities ministry in the church where I previously served. Now at a new church with a new role, one of the first things I am doing is launching a ministry for people with disabilities. Why such a ministry so important? Because of the values communicated to us in Scripture. Based on the very words that God has given us, we all should have the conviction that such ministry is vital. To be human is to be created in God’s image, and to bear God’s image is to be endowed with the highest dignity afforded to any creature. The language in Genesis 1:27-28 as well as New Testament passages like Galatians 3:28 show that this dignity is given without distinction. 40That people with developmental disabilities bear God’s image is reason enough for the church to serve them. They are just as valuable in God’s eyes as someone with a sharp intellect or a beautiful face. It follows that, if people with special needs are created in God’s image, then they can also be re-created into the image of Christ. As a church embraces someone with a disability – say, down syndrome, for example – serves him, and disciples him, he grows in Christlikeness, and therefore is conformed to the image of Christ. He bears God’s image with more holiness, and glorifies his creator all the more. Some will object that many people with developmental disabilities do not have the mental capacity to understand the gospel and express faith in Jesus. I do not deny this. But many do, so the church should minister to them. And for those that do not, their families bear the greatest burden, and the church should minister to them. In Matthew 25:40, Jesus says that when we have served “one of the least of these my brothers” in various ways that, “you did it to me.” This passage demonstrates the high priority of the gospel that the lowest of the low be served. We, who are the lowest by virtue of our sin, were served by Jesus through his death. Therefore, the gospel compels us to serve others. But who are the “least of these” today? First, note that Jesus says they are his “brothers,” so he is focusing on those who are in the church. This statement reveals the solidarity that exists between Jesus and his followers. Second, a glance through the types of people listed – hungry, thirsty, naked, sick, and imprisoned – shows that Jesus is talking about those who are in great physical need, and who are marginalized in society on account of their desperate needs. It is easy to see how those who have developmental disabilities and their families could be included in this list. Who are the most important people in your church? Your pastor? Your worship leader? Your biggest tithers? According to Paul, they are all dispensable, but the weak people of your church are not. “The eye cannot say to the hand, ‘I have no need of you,’ nor again the head to the feet, ‘I have no need of you.’ On the contrary, the parts of the body that seem to be weaker are indispensible” (1 Cor. 12:21-22). Why are those who seem weaker necessary? It is for the sake of unity and mutual care: “But God has so composed the body, giving greater honor to the part that lacked it, that there may be no division in the body, but that the members may have the same care for one another” (1 Cor. 12:24-25). People with disabilities are the indispensible members of your church. The Corinthians made the mistake of bestowing honor only on the “eyes” and “heads” of the church – the gifted, the leaders, the ones who everyone sees. But when you love and serve the “weaker” parts of the body you bestow upon them the greater honor that they deserve. This makes your church (1) healthier, (2) more unified, and (3) more loving. Therefore, it is not just those with special needs who benefit from such ministry, but your entire church will benefit. Not all churches have this need glaring at them. But all communities contain these needs. 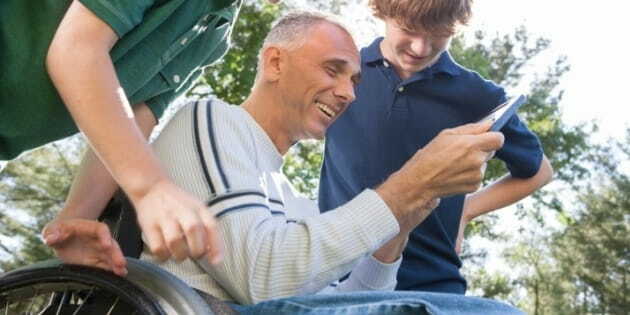 There are few better ways for your church to share the gospel with unbelievers than through a ministry to those with special needs and their families. As they experience your love and care, it will make your witness all the more persuasive, and Lord willing, they will come to believe in Jesus. Eric McKiddie serves as Pastor for Gospel Community at the Chapel Hill Bible Church He helps pastors grow as well-rounded ministers of the gospel at his blog, Pastoralized, and through sermon coaching. Follow him on Twitter: @ericmckiddie.